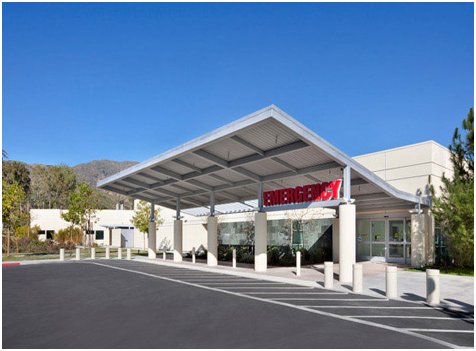 Owen was selected by the County of Los Angeles to expand the Olive View-UCLA Medical Center in Sylmar, California. The project includes replacing the existing Emergency Department that was inadequate to service the needs of the County. Also, a new acute care ward was constructed to provide the services needed for drug-resistant tuberculosis patients and those under detention orders, and will include the proposed bioterrorism response unit that would serve the County in the event of an outbreak of a deadly biological substance. The new buildings are located adjacent to the entrance of the existing emergency room, and are designed in full compliance with OSHPD. The project is a 32,000 square foot emergency department hospital building with up to 20-bed capacity. In addition, there is a 10,000 square foot acute care facility with up to 10-bed capacity. The project was completed and occupied in 2011 - nine months ahead of schedule and $1 million under budget.